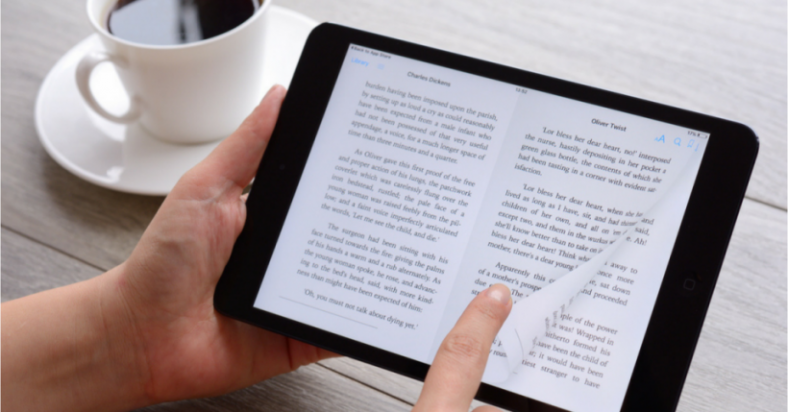 As digital libraries are becoming more popular over the last few years – many companies are releasing their own e-book readers to make reading your favourite novel even more convenient and easy. An e-book reader is a tablet that mainly allows the user to read an array of books, no matter if it is a classic novel or a graphic novel. Many e-book readers can give the user access to digital libraries. However, some of them will only allow the user to access certain labours ad book selections. Either way, e-book readers are growing in popularity for a multitude of reasons, which will be listed below. Now, here is a list of the top 5 e-book readers of 2018 along with a review about their quality and capabilities. As the name suggests, this e-book reader can glow and gives the user a warm, colour changing light that can be easily changed for the user’s convenience. It features physical page turn buttons and the Barnes and Nobel book selection. However, the interface is a bit award for library books, and there have been constants reports of the interface being sluggish as well. But with its lower price, it is the ideal e-book reader for someone who wants to save a bit of money. This e-book is Android created and features one of the larger screen sizes (13.3 inches). It had full Android app capabilities along with a pen and a long-lasting battery life. Moreover, the read has buttons on the front so fingerprints appearing on the screen won’t be an issue. Plus, the pen allows for annotations to easily be created. However, the pen has been reported to not work the best with third-party apps that aren’t supported by Android. \While this e-book is perfect for reading documents, books, and annotating – it does feature a few negatives. One of the major ones being it only supports PDF documents which means certain digital book cannot be read on it. 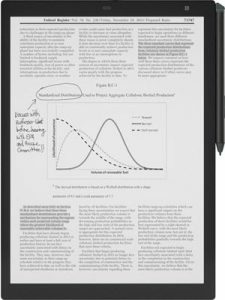 The pen that comes with the e-book reader noticeably lacks pressure sensitivity, and the software is basic and not user-friendly. Through the slim design and the larger tablet design does make it better for editing and review documents. 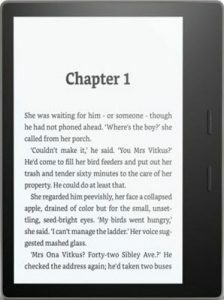 This e-book reader is one of the best that was released last year. For starters, its slim, lightweight, waterproof, has a screen that glows, and long battery life. A user can access any of the thousands of books that Amazon has to offer with ease, and they can read even without having a connection to wi-fi. The main con that it is in the middle of the price range fir e-books – though the price is worth the features. 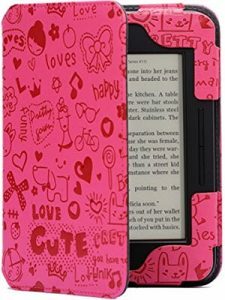 This e-book reader is perfect for those who prefer a smaller lightweight e-book that is easy to travel with. It has some waterproof abilities and more customisation options to change the text and size of the text. However, it does not feature a memory card slot which minimises how many books you can have saved on the e-book. While this is not a definite list of the only e-books that are worth checking out – they are some of the best ones that revoked high praise since their release date. No matter if you choose an e-book from this list or one that you find on your own time, the best thing to keep in mind is what your initial purpose of using the e-book is, especially considering e-books come with different features to make it more productive for the user. The eBooks or e-reader is a life-changing innovation of the technology. There are many facts about this eBook. The history of eBooks says that different types of challenge, long way of innovative works and trying to fulfill the need and comfort of the readers, eBooks are now at the advanced and super standard level. The accessibility of eBooks is now more. A wide collection of books is now found through e-readers. People can read a lot of books with a great ease and comfort. 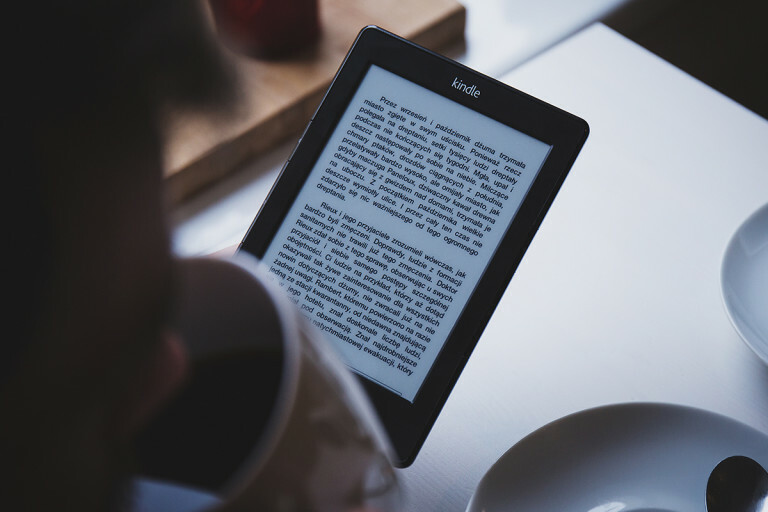 The reliability and convenience of eBook reading have increased a lot with some innovative development. We will now discuss some innovative facts that have changed the field of eBooks use. The eBook is a portable digital book collection. It is an electronic device which can store many books in one. Now, people can carry all his books and can move with these books anywhere they want. People are now able to read their books, even if they are on any vacation or any traveling site or in a line waiting. People can read their books, even when they are resting on their bed through eBooks. This option increases the possibility of reading more and give the readers to utilize their optional times too. Now there are many options to read an eBook in a very easy manner. The font size of an eBook can be changed to the reader’s demand. A reader can change the background color also which will help to read at the night time. Some advanced eBooks provide the backlight options too. The eBooks can be used as an interactive way with audio, video transmission, animations and also links. Some advanced eBooks’ covers and chapter headings can be moved. With every new edition of eBooks reading becomes easier to use and read. For the low cost of the production of eBooks, people are encouraged to produce more and more books as eBooks. A lot of books on various topics and of various fields are produced which are not available as physical books. People can be able to find more options to read on one topic. There are a lot of case studies, real-life stories, discussion about mistakes of various career-oriented fields and also many descriptive interviews or news books in online as an eBook. People are now able to get a lot of books in seconds. They can download any book anytime they want. The built-in-dictionary of eBooks gives the reader to search and find the books they want in seconds. People can be able to download any book of their choice anytime they want. They do not need to do anything else to download or purchase a book. Only find a book and get it by downloading if that is a free book. If reader have to purchase the book, they only has to click some buttons and purchase within some minutes. In the past, people had to go to the market, search for the book they need and then purchase and so, spend their money for traveling to the market and purchasing the book whatever is it. 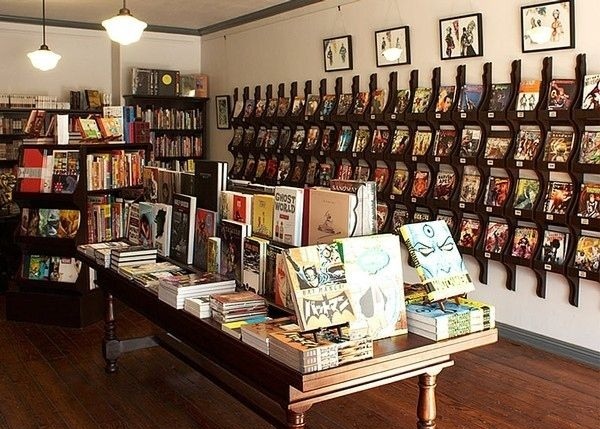 Now, you can get many books of your choice with no money. There are many freebies offering a lot of books for free. You can get many books from these freebies. An extensive collection of books is available in these freebies. The physical book production needs paper, inking, printing and so many things. So, the cost of a physical book is high. But this expense is not needed to make eBooks. EBooks are really very much low costing, production things. So, the price of eBooks is also low. People now can get many valuable books at a very little price. This increases the reading efficiency to the readers. The accessibility of important books opens a wide door of learning. It has opened many chances to shine for the students, researchers, and people from many other fields. A lot of books are also found for free. There is no need for any paper and inking for the production of eBooks. So, no need to destroy our nature and no need to cut down any trees. EBook production is the best solution for producing books without destroying our nature. Besides, the spreading power of eBooks is higher than any other books. So, we can increase our awareness and consciousness for protecting our nature through eBooks. We can share our innovative thoughts and suggestions to protect our environment through eBooks. People are now advancing with technology. So, advancing in reading and learning and improving our ability to read more books and gather more knowledge in less time is a must now. Through eBooks it is possible. Through a lot of innovative improvement of eBooks, people are now able to get more books, more time to read many books, utilize their wasting time, find a more chance to read books and get access of many books of various fields. People are now able to enrich their knowledge in one field and also gather knowledge from different fields at a time. Reading and learning is now the most easily available and accessible matter. A wide door has been opened for the children with the addition of kids eBooks. They are now able to learn many things and new materials with the eBook playtime versions where they can play a lot of games with letters, words, and sentences; they can play puzzles and mazes and learn a lot of things with fun. There are some interactions-improving matters are encouraged regarding eBooks use and production. Children are now getting to learn with a great fun by the storytelling options, playing game options of the eBooks. We are going to discuss how the eBooks are encouraging kids to learn efficiently and make good relations with nature and with their friends and parents. There are a lot of shreds of evidence which prove that interaction between parents and children is increasing for the learning procedures of eBooks. People now, get more options to make conversation with their children. When a child or a young boy or girl start to learn from an eBook, they need their parent’s help to operate it. While getting to learn from the kids eBook, children again find it fun and try to show their fun and happy time to their parents. They also like to share this fun-having learning time with their parents. Parents are now getting more engaged to have the storytelling time or, playing time or, to read eBooks together with their children. So, we can say that eBooks are encouraging the interaction between parents and children and also improving the relationship between them. When a child or a young boy spends time with eBooks, they seek help from the people around him or get in touch with people around him for the eBooks. Children find it more fun while they play a game in the eBook or enjoy a story or animation rhyme. At this time, they like to share their fun and happy time with the people around him. They interact with many people for this eBook sharing and like to share all the fun they had throughout the day with other people. They love to share their fun time with their friends too. The use of eBooks is promoting the learning ability of a child or school kids. The feature of providing learning materials in an eBook is much friendly and fun-giving type. Children have a lot of fun and in the middle of fun they learn a lot of things, but they could not find that they are getting educated. The eBooks are featured in such a descriptive manner that they understand a topic in-depth and of course, with fun and chills. For older children specially school kids, the eBooks provide different tricks to memorize hard equations or table contents. Thus, the learning capability of a child has increased through eBooks. The text-highlighting fact of a book or seminar content became appreciated for increasing reading ability. Text highlighting on a book or in a seminar content or in any physical reading material is quite expensive task. But this feature is found at low-cost on eBooks. So, many eBooks provide this text highlighting feature to expand the reading and learning option. In an eBook, a highlighted text can be found with additional highlighted feature like audio narrator by clicking on that text. This digital audio narrator can describe the definition of noted, text or show the punctuation. This function encourages the learning option as well. Many things that are hard to understand, is provided as animation or storytelling material in eBooks. For this feature, kids become able to learn and understand the hard things in the easy way and in depth. What a teacher or parents cannot do, eBooks do that very easily. Learning and reading become more easy and fun for kids because of the eBooks’ teaching procedures. The animation stories make a great fun for the children. They cannot understand that they are learning a very difficult matter. Some eBooks provide sensor giving options where different types of pictures are shown on touching on a certain thing. For example, when a kid is learning about animals, the can see a picture of a particular animal by touching that animal. In very recent time, 3D pictures are uploaded by the eBook authority for kids. Kids have unbelievable fun when they learn something by this functionality. Learning and reading from eBooks is a fun fact for kids. But the proficiency is increasing through this eBooks learning. Kids learn as it is a playtime job. They do not need to take it as a serious work in his life. Learning with fun and chills is now so much available for the innovation of eBooks. The interaction with a lot of people is possible through this and also the interaction with nature is also possible for the eBook learning. Kids are now able to know a lot about nature and nature saving facts through eBooks. They try to match different things with real-life and practice different suggestions in real life that they have learned from eBooks. Thus, the practical learning has also been encouraged by the eBooks learning.